Decades before it was built, when it was just a gleam in PG&E's eye, the Diablo Canyon nuclear power plant triggered an explosion inside the Sierra Club. Fifty years ago, the radioactive hazards of nuclear power and its waste product were on nobody's radar, and the discovery of the crazy seismic quilt of earthquake faults all around the proposed plant site lay years in the future. Back then, the fight over Diablo Canyon was literally about Diablo Canyon—the sacrifice of a portion of California's wild coast to industrial use and its threat to marine life. In 1959, a Pacific Coast Recreational Survey by the National Park Service had found that "this large, unspoiled area possesses excellent seashore values and should be acquired for public recreation and conservation of its natural resources." When PG&E submitted its application for approval of the plant's closure to the Public Utilities Commission (PUC), the Sierra Club and the Friends of Wild Cherry Canyon filed formal protests arguing that the preservation of the 12,000 acres of undeveloped coastal land around the plant owned by PG&E or its subsidiaries must be part of the plan. The PUC administrative law judge declined to rule on the issue as part of those proceedings but put PG&E on notice, making it clear that they were not to be "selling or leasing land or signing development deals" before the plant decommissioning process and a return trip to the PUC. That's where you come in: PG&E has convened a Diablo Canyon Community Engagement Panel to take public input on, among other things, what the citizens of SLO County want to see done with the land. Your opportunity to tell the committee just that and get your comments on the public record will come on Wednesday, Aug. 29, at 6 p.m. at the SLO County Government Center, 1055 Monterey St., SLO. Speakers will be given three minutes each. 1. The voters of SLO County voted overwhelmingly to approve the DREAM Initiative 18 years ago, affirming the long-term preservation and conservation of the lands surrounding the plant after its closure. 2. Sixty years later, the findings and recommendation of the National Park Service stands: "This large, unspoiled area possesses excellent seashore values and should be acquired for public recreation and conservation of its natural resources." For the last month or so, Al Fonzi has been using these pages to peddle the conspiracy theory that Russia is secretly behind the movement to get the U.S. off its fossil fuel addiction. This tale, based on a congressional committee report cobbled together from a 2014 hit piece on environmental groups by a corporate lobbyist who counts Big Oil among his clients, has spent four years in search of traction and credibility. It's not improving with age. After I refuted Mr. Fonzi's effort—a refutation that required no more than quoting from his source ("Dr. Evil is a bad source," July 12)—Mr. Fonzi complained that I was insufficiently adamant in denying the charge that "the Sierra Club Foundation received millions of dollars from the Russian-backed organizations" ("What a tangled web we weave," July 19). Mr. Fonzi apparently doesn't click on links or read cited news stories, so one more time: He should read the 2017 article, "Republicans brewing Russian scandal to target greens," by Politico's Ben Lefebvre, who has reported on energy issues for Dow Jones and The Wall Street Journal, wherein he will find all the suitably emphatic denials he could desire, from every named party. He will also find the journalistic and academic assessments that there is "no evidence that Russian money has gone to U.S. green groups" and there is "little but innuendo" on which to base that charge. Mr. Fonzi has staked out a fallback position, warning that it's not just "sincere 'not in my backyard' protesters" opposing new fossil fuel projects and promoting renewable energy but "large, well-funded groups"—Russians or no Russians—and readers should "think about that and who will most benefit." 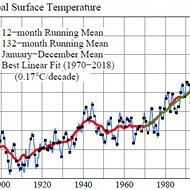 Reality intrudes: Between 2000 and 2016, the fossil fuel industry spent more than $2 billion on its effort to influence climate legislation in Congress, an outlay which, the Desmog blog noted, "overshadowed that of environmental organizations and the renewable energy sector by a ratio of approximately 10 to 1." Here is a real-world focus for Mr. Fonzi's fears: corporate lobbyists like Rick "Dr. Evil" Berman and his large, well-funded clients in the fossil fuel industry. Andrew Christie is director of the Santa Lucia Chapter of the Sierra Club. Send comments through the editor at clanham@newtimesslo.comor get your thoughts published by emailing a letter to letters@newtimesslo.com.